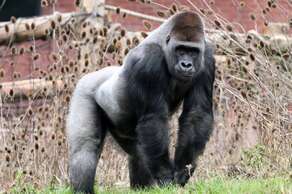 This famous zoo is a great way to view animals in their natural habitat. Paignton zoo's emphasis is on conservation and environmental concerns and is sure to keep adults and children alike amused and interested all day. 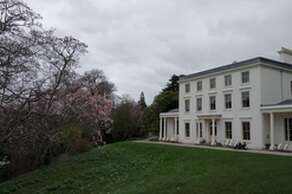 Imagine Agatha Christie and her family spending relaxed summer days or cosy Christmas holidays at Greenway. In the Drawing Room you'll see dominoes and card games laid out in front of the fire. Agatha's Steinway Piano has pride of place in this room;volunteer pianists often play, and encourage musical visitors to have a go. In the Library you can hear an audio clip of Agatha's grandson Mathew reminiscing about his childhood holidays at Greenway. The hallway is home to picnic baskets and walking sticks which speak of happy afternoons spent in the gardens. Everywhere you turn in the house there is an item waiting to speak to you about its history. At the country home of the D'Oyly Carte family you can travel back in time to the Jazz Age. This most evocative of country homes was built in the Arts &Crafts style, and is imbued with Art Deco elegance. A light, joyful atmosphere fills the rooms, and music plays, echoing the family's Gilbert and Sullivan connections. You can get an insight into 1920s life 'upstairs and downstairs' from the glamorous Saloon and the airy servants' rooms. In the RHS accredited garden viewpoints give enticing glimpses out to sea, paths weave through glades past tranquil ponds, and tender plants from the Mediterranean, South Africa and New Zealand thrive in the moist and sheltered valley. 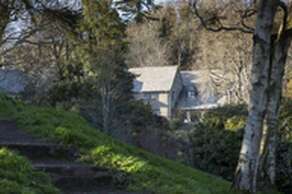 Coleton Fishacre received a bronze award for large visitor attraction of the year at the 2014 Visit Devon Awards, as well as two silver awards at the English Riviera and South Devon Tourism and Hospitality Awards. Kents Cavern is one of the most important Stone Age sites in Europe and one of Britain's best showcaves! On your visit you'll go back to a time when the cave was home to ancient humans, sheltering from extreme weather, making fires, shaping tools and hunting Ice Age animals. 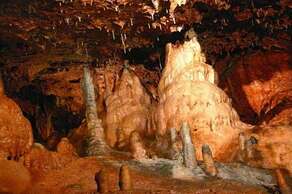 As you walk through the extensive labyrinth of caverns, you'll be surrounded by 400 million year old rocks and spectacular stalagmites and stalactites. We are only a stone's throw away from the Steam Railway. The Paignton and Dartmouth Steam Railway is on the holiday line, with steam trains running for 7 miles in Great Western tradition from Paignton along the spectacular Torbay coast to Churston and on through the wooded slopes bordering the Dart estuary to Kingswear. The scenery is superb, with seascapes right across Lyme bay to Portland Bill on clear days.